When Dr Gabriele Medley graduated MBBS from Melbourne University Medical School, taking out numerous prizes, in 1959, women were a clear minority among medical students and oen dissuaded from pursuing a specialist career. Nevertheless, Gabriele Medley not only obtained specialist pathology qualifications but went on to an illustrious career as a gynaecological cytopathologist, playing a leading role in the development of cytology in Australia and preventing thousands of deaths from carcinoma of the cervix in Australian women. Gabriele Medley’s outstanding contributions to medical science, in particular to women’s health represent a lifelong career of dedication and hard work. As Medical Director of the Victorian Cytology Service, from 1989 to 2000, Gabriele Medley ushered in the Australian Cervical Screening Program. This hugely successful public health population screening program has halved the rate of deaths from cervical cancer since its introduction in 1991. She was instrumental in the development of the high standards of this program, as a consultant to government in the policy setting areas of quality control and new technology. Always a champion of gynaecological cytology, Gabriele Medley has been a great teacher of both scientists and pathologists. She maintained a strong commitment to medical research as well as a very busy clinical and professional life, making numerous publications with her colleague, Heather Mitchell, during her working life. Much of this work laid the foundation for the understanding of high quality cervical screening and is cited extensively to this day. Her contributions to both international and national professional societies have been exemplary. An Executive Member of the International Academy of Cytology for many years, she also made important contributions to the Australian Society of Colposcopy and Cervical Pathology and the Australian Society of Cytology. Her work has received wide acclaim, both from her colleagues and the wider community. The International Academy of Cytology awarded her the Kazumsasa Masubuchi Lifetime Achievement in Clinical Cytology for her lifelong dedication to teaching and research in cytology; for facilitating and promoting cytologic education in the developing world; for the development of criteria to monitor the success of population screening programs; and for enhancing the role of cytology in Australia. 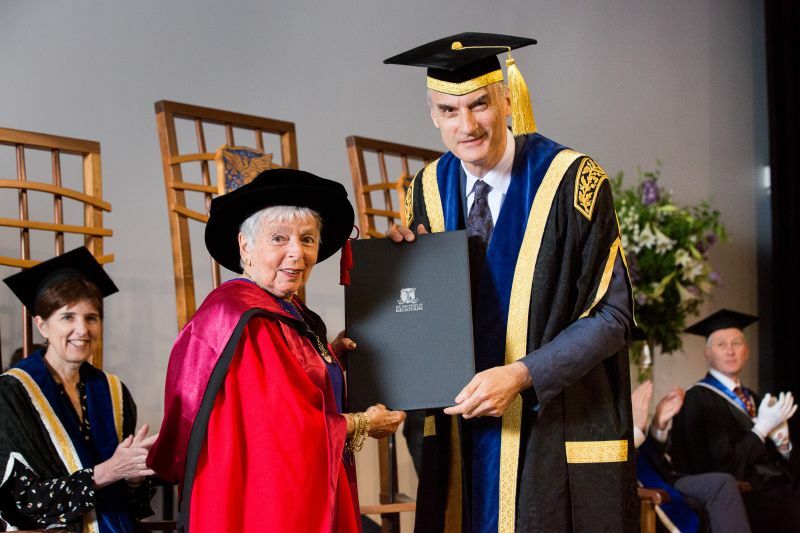 She was appointed a Member of the Order of Australia, for her service to medicine and women’s health through the Victorian Cytology Service, particularly in the field of cervical cytology and pathology, and to the development of Pap smear testing, reporting and screening programs. Dr Gabriele Medley is recommended for the award of the Doctor of Medical Science (honoris causa) in recognition of her dedicated and distinguished service to medical science, her leadership and achievements within her clinical specialty, in particular her distinguished eminence through her many years of leadership in the development of cervical cancer screening, and her contributions to broader medical and educational communities through her participation in a multitude of professional, hospital and university roles and committees over a great many years.